I have been practicing capoeira for over 10 years now, since I was 11-years-old. I remember picturing myself doing everything that these people were doing with their bodies during an assembly demonstration at my elementary school and signed up for the program right away. 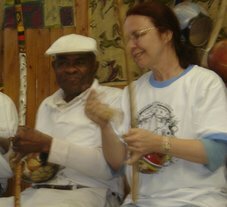 I began training capoeira as an after school activity and fell in love with the art. I was quiet and shy growing up; capoeira has given me self-confidence and helped me overcome so many obstacles. Everyone has a different story and journey in life. I have come to realize that my place on earth is to help others not only to teach others, but to also learn from anyone and everyone. To have a positive outlook and to dream big is my personal philosophy in life and this is only the beginning of what capoeira has offered me so far. All it takes is imaging your self doing something and that first step can make a huge difference. I cannot imagine where I would be if I did not sign up for this after school program to take capoeira. I believe this is faith and my calling in life to continue benefiting and growing from this beautiful art. 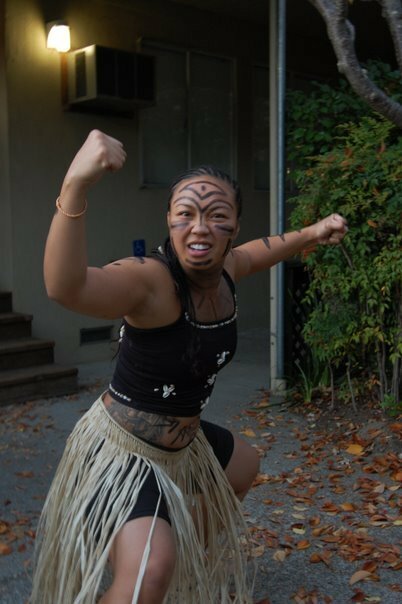 Joaninha’s blog is everything you can expect from a good Capoeira blog, with stories about her own training experience, tips, cultural aspects of Capoeira… But this Canadian camara has chosen a feminist and feminine approach to our practice. She tracks mysogynistic song lyrics in our rodas, she fights the upper body strength myth in female capoeirista’s minds and introduces talented and creative women who became mestres and contramestres. She was kind enough to answer our questions. Joaninha — the ladybug, in Portuguese – has started to train in 2005 and got more and more involved in her practice with time. 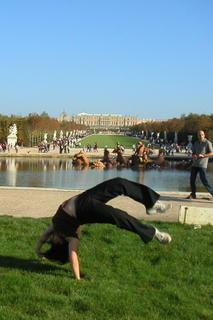 She trained up to 5 times / week, despite her father calling Capoeira a “Brazilian street cult” when she started classes ! Joaninha wanted to start a blog to practice her writing skills in preparation for a future career in journalism. Her modesty led to a great concept: she didn’t want to compete against great websites such as The Capoeira Blog so she gave a feminist twist to her own capoeira blog. And she doesn’t regret it thanks to all the exchange among her readers’ community. “Embrace the exception, not the rule”, she advises through this Tom Robbins quote. Being a small group, it’s crucial for CMS to remain as open as possible to welcome all countries, styles and opinions.